The National Lawyers Guild Legal Observer program was established in 1968 in New York City in response to protests at Columbia University and city-wide antiwar and civil rights demonstrations. That same year, Guild students organized for the defense of people swept up in mass arrests at the Democratic National Convention in Chicago. The Legal Observer program is part of a comprehensive system of legal support by our Mass Defense Committee designed to enable people to express their political views as fully as possible without unconstitutional disruption or interference by the police and with the fewest possible consequences from the criminal justice system. In addition to Legal Observers, Guild attorneys often provide legal defense for protesters who are arrested and bring civil litigation if needed. Legal Observers are typically, but not exclusively, law students, legal workers and lawyers who may or may not be licensed locally. 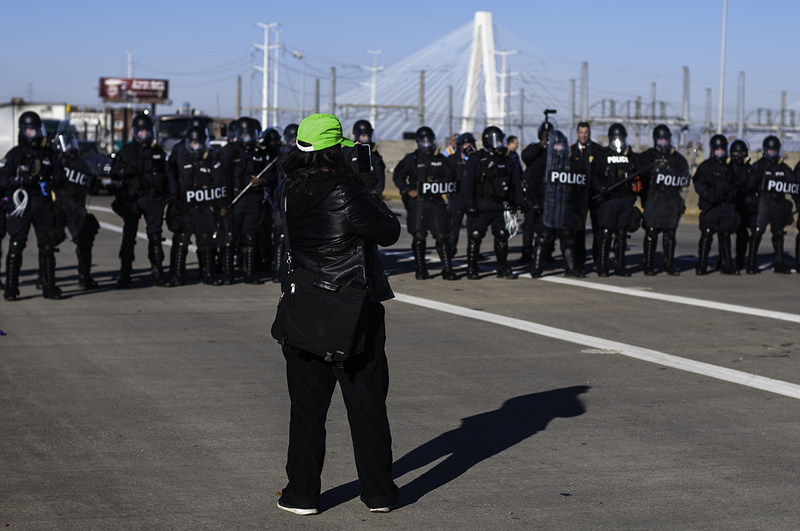 Legal Observers are trained and directed by Guild attorneys, who often have established attorney-client relationships with activist organizations, or are in litigation challenging police tactics at mass assemblies. The presence of Legal Observers may serve as a deterrent to unconstitutional behavior by law enforcement during a demonstration. To request Legal Observers for an upcoming event, contact the National Office. Legal Observer trainings are held several times a year in various locations around the country. If you are interested in becoming an NLG Legal Observer, contact the National Office or your nearest chapter to find out about upcoming training sessions, or to schedule one for your chapter or school.